Imagine you were to live in the neighborhood around our church. Quite some folks actually do. You have seen the neighbor change over the past decades. Now imagine you need to go grocery shopping. Most likely you will hop into your car and head towards Brazos Town Center because that is where most shopping in Rosenberg is done these days. But now imagine you were a one car family. I met this courtesy-driver at a car dealer ship. Him, his wife and two kids just had that one car. He drove it to work in the morning and at 6 pm he would switch shirts. His black pants and boots are also okay with the fast food chain shirt he had to wear at his second job where the shift started at 6pm – with no turn-around time. Now, all the panaderias along 1st Street can certainly keep his wife and kids from starving but if you were in their shoes where are you going to get your fresh produce? The simple reality is that you would have to ask somebody for a ride or you would walk to Fiesta. That is two miles each way, hauling bags of fresh apples and heads of lettuce. According to Google Maps that would take you about 40 minutes times two and you could only buy as much you could carry with two little kids in tow. In this sense our neighborhood is a food desert and there is nobody there to change that. 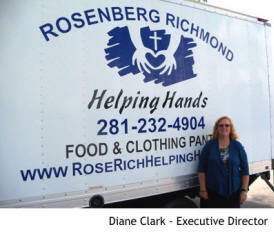 One thing we have changed since 1985: As a covenant church of Rosenberg-Richmond Helping Hands we support their mission to feed and clothe people in West Fort Bend County on a short term basis. They served 6400 families in 2013. Food was distributed to 22,047 people. We were able to supply 832 babies with diapers and 131 were provided with formula. 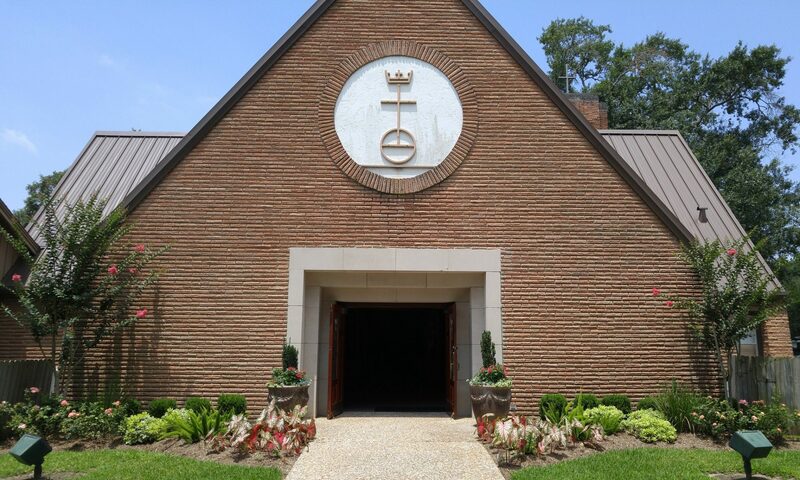 We give 9% of our church’s budget to Helping Hands and we do two month-long food-drives each year in February and August. February is big because it coincides with the Souper Bowl of Caring. All month long we will gather food and monetary donations so we can support Helping Hands even more. Scout Sunday is coming up and they also help with collecting canned goods. Last Sunday we had great fun at our soup extravaganza after church with silent and live auctions. I love the energy that goes into that and all the good that can be done because of it. Only thing is: According to Google Maps Helping Hands is 4.3 miles away from the church. That is a 90 minute walk one way. Can you think of other ways to help the courtesy-driver’s family?